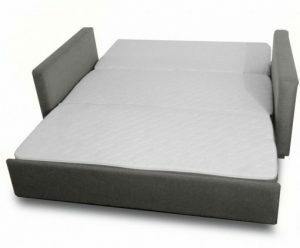 If you want that real information about what to expect from a queen size memory foam sofa bed, you have to talk with someone who owns the product. If you happen to know someone who has purchased from the retailer before, you’re in luck. You can get the unvarnished truth from someone who feels comfortable being honest with you. 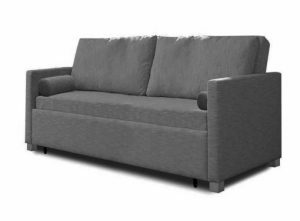 If you don’t know someone who has purchased a sofa bed in Vancouver from the retailer you are considering before, the next best thing to do is look up online reviews and ratings from third-party sites. These objective reviews will tell you the good and the bad based on the experiences of previous customers. 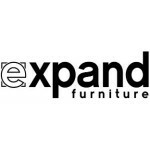 Expand Furniture is proud to have dozens of excellent reviews from our many satisfied customers. Our exceptional reviews and ratings are owing the high quality of our products and our customer service. 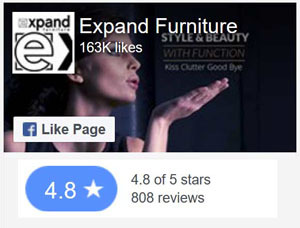 You can find reviews for Expand Furniture on our website and our Facebook page. These reviews are entered by the customers themselves, and they include a star rating. On our Facebook page, you’ll find more than 700 reviews, with more than 96 percent of them being either four or five stars. Our Facebook reviews say things like “amazing creativity, which makes living so beautiful” and “great, just great!” The reviews cite our personalized service and how representatives go “above and beyond” for our customers. They also note the beauty and versatility of our furniture. On our site, you’ll find close to 175 reviews. They say things like, “this Murphy bed/sofa was the ideal solution for our small space” and “the quality is high and the style is simple and unique.” Our reviews consistently cite the quality of our products and service. They highlight the ease of use for each of our products, as well as the stylish designs. Read through the reviews yourself to get a feel for what our customers are saying. One of the reasons that Expand Furniture is always getting such rave feedback is that we put a focus on quality, both in the creation of our products and in the delivery of our service. Our sturdy furniture is built with strong woods, like certified eucalyptus, for durability and reliability. Each slat on a sleeper bed can support more than 100 pounds of weight, thanks to the strength of the wood we use. The Harmony bed can support over 1500 pounds of weight all together. The fabrics are also durable yet comfortable. You won’t have to worry about rips, pilling, or thinning over time, so long as you also take the right care of the sofa. Some retailers treat their fabrics with chemicals that make them more resistant to damage but also make them stiff and scratchy. Our fabrics are soft and comfortable so you feel at ease whether you are sitting on the sofa or sleeping on the bed. Our sleeper sofas also use high-quality memory foam for the mattress, which ensures that you get a comfortable night’s sleep every time. Year after year, the mattress will feel just as good as when you first purchased the sleeper sofa. 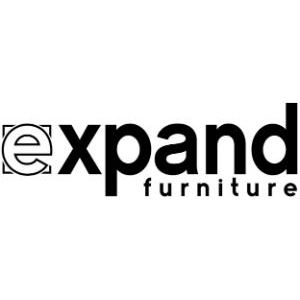 At Expand Furniture, we take our commitment to quality seriously, and that’s why we have so many satisfied customers. This is not snap-and-lock furniture you might find at some big-box retailer for lower prices. This is high-quality, designer furniture that will be in your family for decades to come. 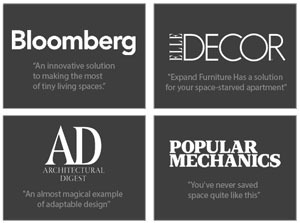 Read our reviews and then browse our online catalog to find the perfect space-saving furniture for every room in your house. You’ll elevate your décor while also maximizing the space you have.